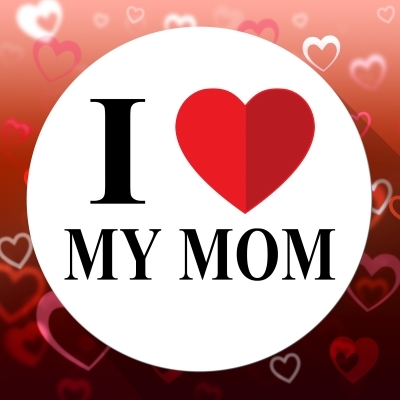 Our Mom is probably the person who loves us most in this world, nobody knows us better than she does, knows our tastes, our weaknesses and everything we are capable of. It is not necessary to have a special day to tell her how much we love her, because every day is her day, but as today is Mother’s Day it would be really nice to dedicate her some beautiful words. For this special and important day we have prepared some nice messages with which you can greet your beloved Mom for Mother’s Day and give her a nice surprise. – “Happy Mother’s Day dear Mom, this day we will all spend together as a family, it is your day and I hope that everything we have planned will be to your liking. Kisses for you Mommy. – “Today is a very special day, it’s Mother’s Day and I hope you have a great time dear Mom, I want to tell you that I love you so much and that you can always count on me. Happy Day”. – “Dear Mom, have a very Happy Mother’s Day, you are the best Mother in the world, thank you for being by my side, helping me and taking care of me at all times. I love you so much”. – “Mom, when I grow up I would like to be like you, so strong and good to everyone. I want to tell you that I admire you very much, you are my hero. Have a Happy Mother’s Day. A kiss for you”. – “Happy Day dear Mom, I want to tell you that I love you very much and I want to thank you for everything you do for me, for your help and your care, without you I do not imagine what would happen to me. I love you so much”. – “You are my Mother, but you are also my best friend and the person I trust most in this world. Today is your day I want to tell you that I love you and admire you a lot. I send you lots of hugs”. – “I thank God for sending me an angel like Mom, there is no day that I am not grateful and proud to be your son. I wish you to have a nice Mother’s Day adored mommy “. We hope that these messages have helped you to surprise your Mom in her day and you have given her some nice words. We will meet again with new and beautiful messages. The person who is always by our side, takes care of us, feeds, advises and cares even though we are already adults, is our Mother, for her we will always be her children, tender and helpless. Our Mom leaves everything to give it to us, so today is Mother’s Day do not stop greeting her, surprise her and tell her how much you love her. For this special day we have prepared some nice messages with which you can greet your Mom wishing her a Happy Mother’s Day, as well as surprising her a lot. – “You are my hero, the most amazing woman in this planet, thank you for everything you do for me and my brothers, I still do not know how you do all those things, you are the best. Happy Mother’s Day”. – “I wish with all my heart that you have a Happy Mother’s Day dear mom, I hope you have a day full of joys and many details. Thanks for everything you do for me. Kisses”. – “I wish you have a Happy Mother’s Day, I am very happy to be able to spend this day with you, dear mommy, you are the best and I will always be proud to be your daughter”. We hope you have enjoyed these cute messages and have been able to surprise your Mom for Mother’s Day. We wait for you with more messages in another opportunity. See you soon.